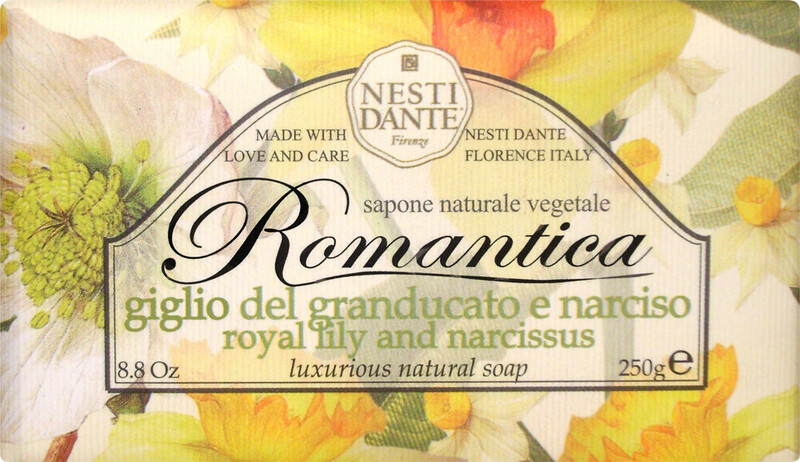 Indulge your skin in the sultry scent of the Nesti Dante Romantica Royal Lily and Narcissus Soap, a sumptuous cleanser enriched with lavish floral nuances. Pamper your body with the exuberant flair of Tuscany’s most desirable floral bouquets. Captivating lily bewitches your body with cheer and delight, whilst seductive Narcissus enriches your skin with comfort and serenity. The authentic, hand-crafted method of saponification ensures your skin looks and feels soft and supple with every use. The infusion of whole neutral vegetable fats and raw materials caress your skin with a velvety-smooth texture making sure your skin feels moisturised and clean. Work into wet hands then massage the soap bar to create a sumptuous lather. Massage all over your body, then rinse. Keep soap in a clean, dry place after use to preserve its longevity. 100% biodegradable. Dermatologist tested. Not tested on animals.